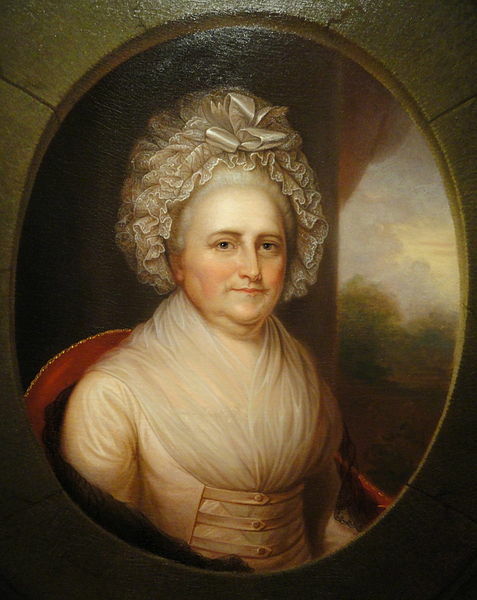 Martha would have been a delightful female addition to the cast, serving as a wellspring of insight into Washington’s private and personal side in the show, just as she did in real life. Let’s all cross our fingers if the show is renewed for a third season! Martha Washington would be a delightful addition IF accurately depicted, but honestly, I shudder to think what would become of our dear Martha in hands of Turn’s writers. It’s probably just as well they keep their paws off her. 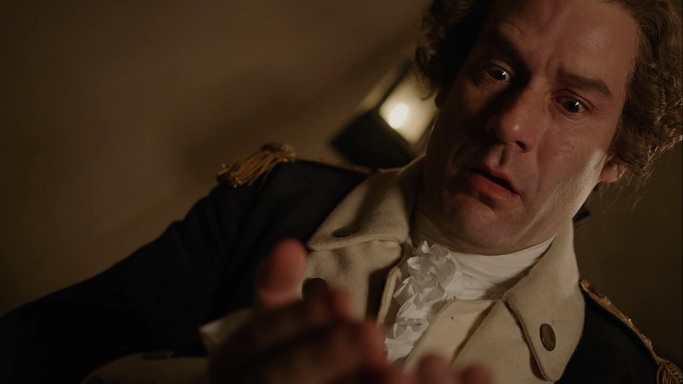 Why put in such a “slanderous” episode showing General Washington in such a bad light when you have no indication it ever happened? I find that appalling!! I love the show, but there is no reason to embellish to the point of making one of our heroes look crazy. They did so in order to depict Washingtons morale compass. He had to choose between executing an enemy officer or saving a failed spy. It notes that his brother Lawrence would have executed any murderous officer, which is why Washington is at conflict in this episode. I agree that if the authors have no clear and factual evidence of General Washington undergoing madness, it shouldn’t be spread, but since there is no evidence of him having or not having melancholia, the writers dramatically filled in the gap to make the show more interesting, and most of all to show that Washington did have faith in his army and faith in failed soldiers at his command. There is also that fact that for years as commander, he had much hatred towards himself from his own army and many of his highest ranking officers were double spies for Major Andre, which he discussed in a few episodes prior that he could not bring those officers to justice because the French wouldn’t aid an unstable army. I enjoy the show and do wish that it is more based on fact, but there is much of history that has been lost, especially to a group that needed to conceal itself from the world in order to gain victory. My wife and I will never watch the show again because of the fictitious depiction of Washington at Valley Forge. Many of our friends who wached the show concur. It’s the bloody accursed left and their desire to re-frame all things in terms non-spiritual. Utterly is disbelief the only allowed option, and despite the thrilling and wonderfulness of this series, even in spite of that they will use this to reframe the mental image of all of the founders of our nation so that a new generation will think them Godless men. Their is no excuse. They call themselves, humanists….. socialists, but in the end they are close minded fearful people looking for some sort of communal worship of man’s own ingenuity. And I DO mean to say that the left is conspiring to remove God from the equation, with all their hearts, might, mind, and strength. Anyone would have been melancholic at Valley Forge. But there is no indication of Washington having a mental breakdown. Also, being that he clearly put trust and reliance in God, I was appalled that they tried to make it seem like he was praying to his brother rather than God. I think the folks making TURN are assuming no one knows this history. But how does anyone know he was praying to god. I mean, that painting was made in 1975… I think the writers were trying to show that Washington, although a smart, devoted and fantastic leader, had his flaws. I’m not saying he definitely had this “breakdown,” but why is it so bad to believe that it could have happened? He was probably the most stressed person in the world at the time. Frankly, I wouldn’t blame him if he had a breakdown. I just genuinely don’t understand the outbursts. I thought it was interesting. Mitch- We know he prayed to God because he was very religious and believed in God. He talked about God all the time. It would have been sacrilegious to pray to his brother. You’re right about the painting, and that story has been disproved. But I think people are upset because religious freedom and religion in general were very important parts of George Washington’s (and other founding fathers) personalities, and the writers have written them all out. The God hater and freedom haters are alive and well they will do anything to trash out nations hero’s because they have none of their own. I call the program turd, a lot of inaccurate crap, if at best it’s poor fiction. Thank you for clearing that up. I found the episode disturbing, so much so that now I find it untrue I may not watch the rest of the series.